The Sisters of St. Joseph have been around for over 150 years. 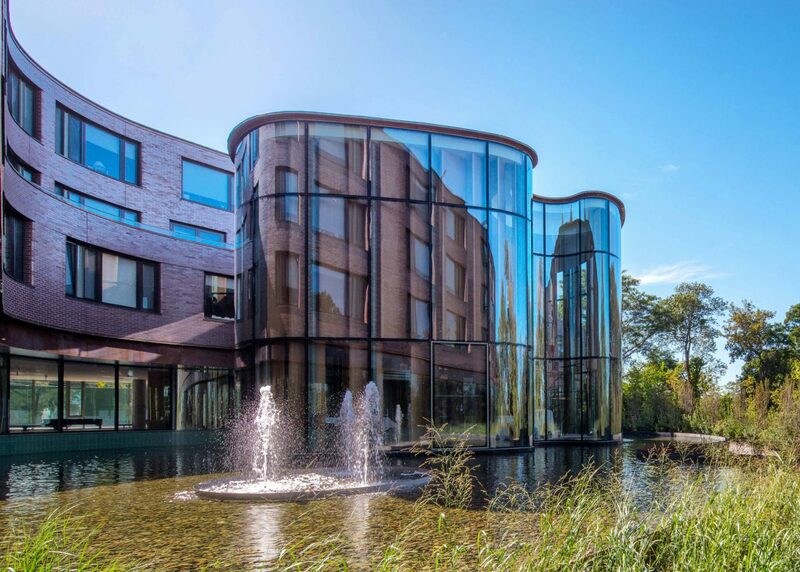 As well as private apartments, the Sisters’ residence also contains assisted living units, private clinics, communal dining rooms, a lobby, activity rooms and a chapel. 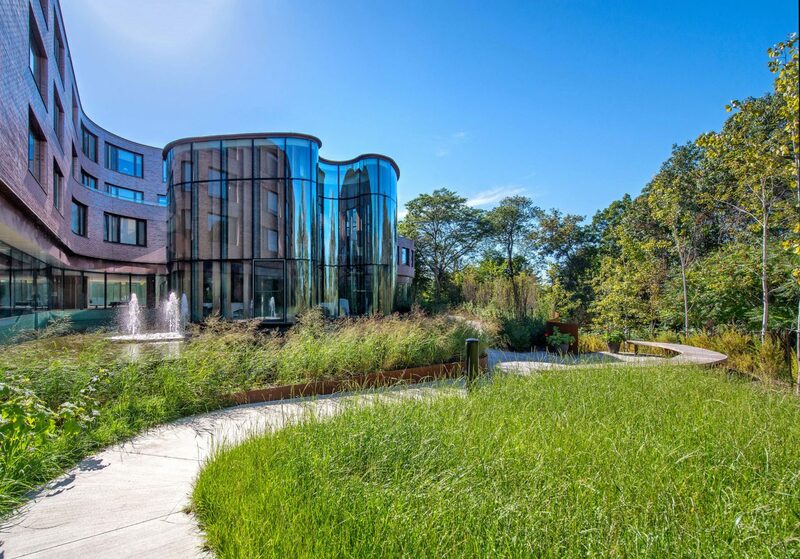 The four-story building traces an undulating course and was clad with a specific aluminum element system with curved Corten steel panels, which also serve as a rain shield. The glazed, cylindrically shaped chapel sits in a reflecting pool and forms the spiritual and physical center of the building. The supporting structure consists of sharp-edged steel T profiles made by a special screwing method in order to achieve a filigree look with minimally visible welding joints. Cylindrically curved insulation glass with diverse radii was used for the glazing. The chapel is clearly visible from the entrance and its steel and glass structure stands in contrast to the brick body of the main building. 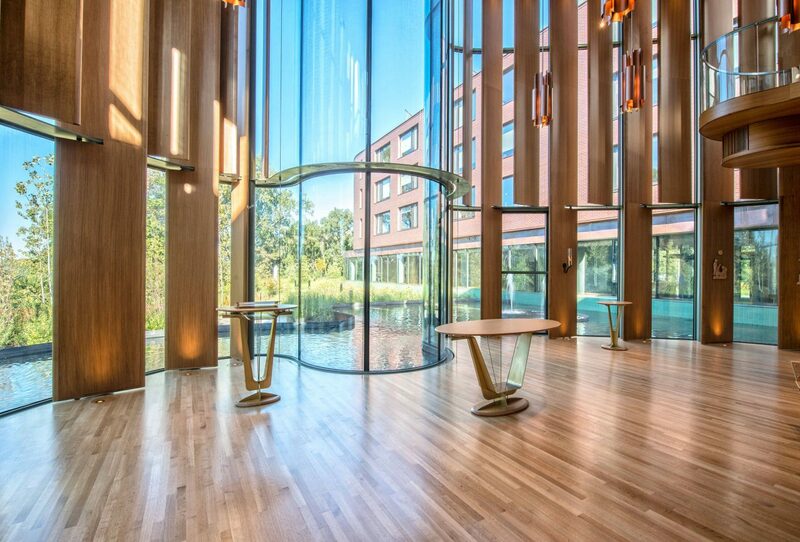 Reflected light from the exterior pool washes across the interior oak fins, filling the chapel with an ever changing quality of light throughout the day.